Non-invasive chiropractic care is a treatment method that can increase the range of motion and ease your pain. There are three different types of non-invasive chiropractic care options you can choose to treat you different problems. This method is more used to treat elderly patients, acute pain, toddlers and infants and those who are dealing with ailments such as osteoporosis. In this method, chiropractors use less pressure that can result in reduced pain. 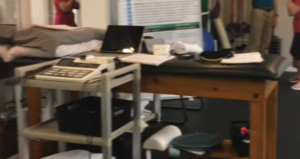 Designed to treat lower back and hip this type of manipulation usually done by the patient lying down on a treatment table with a specific mechanism while the chiropractor stretches your joint.